Allyson is a California-licensed attorney with a JD from Duke University and a Master in Global Business Law from Sciences Po and Duke. She has a BA in Linguistics from Boston University. In law school, Allyson's focus was on environmental law and management of public resources under the National Park Service Organic and Wilderness Acts. She also gained experience in civil litigation as an intern at a San Francisco Bay Area plaintiff's side law firm and the Sierra Club. Allyson's commitment to the climbing community began when she started rock climbing in college in New England. She moved to California in 2007 to be closer to Yosemite National Park and the Sierra. Since then, she has spent as much time as possible climbing in the Western United States and abroad. 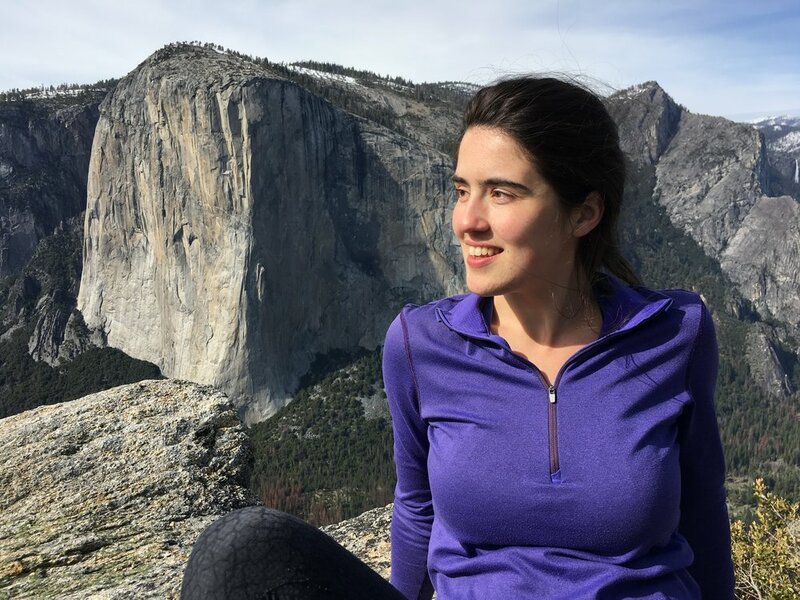 Since 2016, Allyson has used her business and legal experience to benefit the California climbing and outdoor communities through the Yosemite Climbing Association and its event, Yosemite Facelift. She is particularly interested in promoting positive relationships between use groups and agencies and organizations that manage resources critical to climbing access. In 2015, powered by an American Alpine Club Live Your Dream Grant , Allyson traveled to Argentine Patagonia where she climbed De l'S and attempted Guillaumet via the Brenner route. Some of the art inspired by the trip can be seen through @americanalpine on Instagram. In October 2016, Allyson also had the opportunity to present photos and art from Patagonia and the Sierra to the Rock Ice & Mountain Club in Santa Rosa, CA. Allyson has developed central roles in community building within the Yosemite climbing community through her management of camping reservation requests, grants, and sponsorship requests for Yosemite Facelift, a volunteer event sponsored by the National Park Service and Yosemite Climbing Association. She was recognized by the National Park Service for her efforts in 2017. She also served as a Duke Law Club of Northern California board member, organizing and promoting outdoor excursions and pro bono opportunities with IANGEL, a Bay Area non-profit. In 2016, she was recognized by IANGEL for developing volunteer opportunities for Bay Area attorneys.